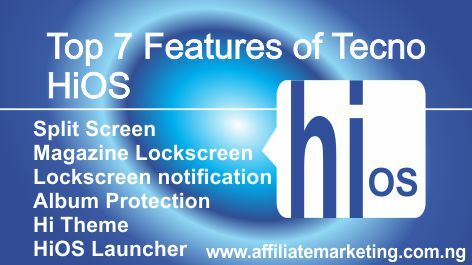 Its operational features make HiOS a top class mobile operating System suited to run on modern devices and offering pleasure to users, whilst sustaining the durability and functionality of mobile devices. Since its release, quite a number of versions have followed suit. The first version, HiOS 1.0 was based on Android 6 Marshmallow using Android's free licence which grants permission to modify interfaces and add other features for better performances. Now, several better, faster, and excellent versions have been released and are running on most Tecno devices already. The speed of operation of mobile devices, considered an important trait, has been prioritised in developing this Operating System. A combination of core hardware and software components ensure that devices running on HiOS, experience faster processing speed. This is enhanced by the storage management capability and the integrated cooling effect. 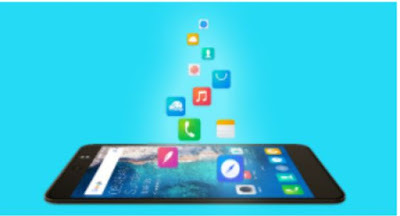 Apps, that unnecessary heat up mobile devices, on which this OS is running, get controlled without interrupting activities. With this, hardware components are cooled to avoid risky heating emanating from numerous operational processes by the CPU. This generally increases the speed of operation and boost the performance of mobile phones. This OS equally integrates features for efficient power management. Power tends to last longer as screen lighting is controlled. Also, background apps and connections are ultimately managed and controlled to avert the need for irrelevant power consumption and usage. So, your smartphone's battery will last longer and performance excellently with this OS installed on it and the features fully activated. Modern phones and apps are known to take security seriously. With loads of malicious attacks here and there, it would have been a waste of time to develop a beautiful Operating System like HiOS without providing a way to at least prevent these attacks. This OS was built with security fully integrated with the design. From the default security features to app-optimised security measures, HiOS has it all covered. The Face ID app and Album protection are some of the security measures developed to offer better ways of securing the contents of phones. Security becomes tighter and better should the mobile device integrate a finger sensor that combines excellent to further hinder unauthorised access. HiOS is not without aesthetic splendour. The apps' icons, themes, colour code, and layout presents a beautiful appeal that captivates the minds of users as they silently reveal the other side of Tecno’s user-driven production. For beauty-knots, this will instil a sense of satisfaction and psychological pleasure. The magazine lockscreen, colourful themes, fantastic wallpapers, and excellent colour mixture keeps the appearance cool and inspirational. You never can count this out. Every OS considers how users can make the most of the available entertainment channels, and that’s exactly what this OS stands for. From the Magazine Lockscreen feature, high-quality media presentations to games supported hardware-driven features, users can enjoy a whole lot the entertainment pack that comes with it. This Android-based OS integrates a number of eccentric features perfectly combined to ensure that users get the very best of it. Devices running on this OS, deliver wonderfully because of these technically and carefully crafted features. This is not a new smartphone feature per se, but it makes the cut to see it integrated into this OS. Users of iOS, XOS Chameleon, and recent Android OS would be familiar with this feature. The Split Screen feature allows users to divide the screen of their device into two. With this, you can display two apps at the same time without necessarily exiting any. How relevant is this feature? You may ask. This feature comes in handy in situations when you need to copy or make reference to information on another app. For example, writing an email using selected addresses from your contacts app. You can easily split these two apps on the screen and then copy or input the addresses as you deem fit. Yet another feature included to inspire users and grant them emotional relief each time the lockscreen is turned on. Just like in Windows 8 and above, this feature triggers a set of dynamic content - pictures and inspirational texts - similar to live wallpapers. The difference is that Magazine Lockscreen presents different types of these contents each time the lockscreen is lighted. Though this feature can be changed to static content, its beauty and dynamism add a different level of satisfaction and entertainment and is worth keeping. I feel happy, encouraged, and purposeful every morning when I look at my phone to see motivational texts from the Magazine Lockscreen. It takes me to a new level completely, and drives my day. For some Operating Systems, lockscreen notification isn't a feature you can find at all and that requires users to unlock their phones to access latest notifications. This has its pros and cons - you can miss out on important notifications. On the other hand, it saves you from distraction during important occasions like meeting, etc. This feature now changes the scenario and grants users access to notifications irrespective of the state of the lockscreen. Notifications from applications such as messages, WhatsApp, Facebook, etc. will be displayed despite the lockscreen activated. To ensure security and block unauthorised access to confidential contents, this feature can be set to display only the app sending the notification and the number of notifications per app. The contents can then be accessed by unlocking the phone. 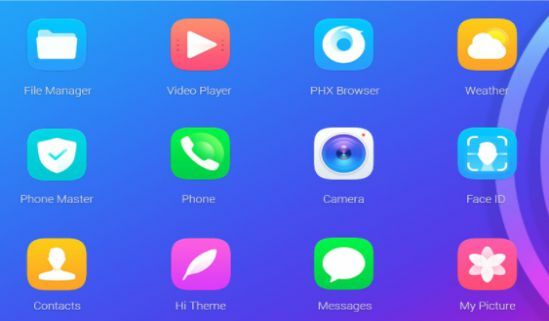 Hi Theme is indeed an excellent inclusion of the design of this OS. With just a tap of the finger, you can set up an entirety of beauty and dynamic display on your device at no cost. Other themes of your choice can equally be downloaded using the theme manager app. This takes complete control of the icons, navigation, transitions, app drawer's system, content display, and the overall appearance. Additionally, you can download and activate varying kinds of fonts and letterings to add fancy to the fun. The days of downloading Next Launcher and other launchers to access beautiful interface and app drawers are far gone. In-built themes now handle all of that and several designs can be accessed and downloaded easily without any cost attached. 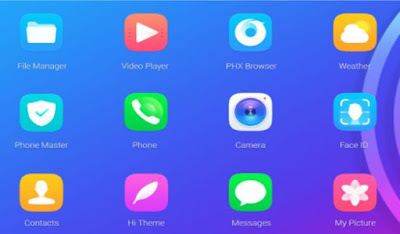 With HiOS launcher, most challenges faced while using third-party launchers are eradicated. You will only be concerned with using your device with ease and optimum satisfaction. This is another security feature included by Tecno to keep confidential information safe and offer protection against unauthorised access. Whether it is your little secrets expressed in pictorial formats or deep secrets of activities you don't want others to see, the Private Album feature helps to grant you the needed security. We all have our little secrets. Add a password to the album to keep yours safe from prying eyes. This will be loved by many who don't feel safe with their classified pictures and want to hinder people from viewing them. Call recording is highly simplified by this OS. Once on an active call, tap the three doted ellipsis-like buttons to start recording your conversation with the other person. This feature combines perfectly and excellently with the fingerprint to ease how calls are recorded and accepted. To use this wonderful combination, your device must support and have fingerprint sensor or scanner. As technology keep advancing, better ways of meeting users demands are research and developed. Tecno HiOS Android-based Operating System is just one of such ways. Several versions have been developed since the first giant stride was made with version 1.0 based on Android 6 Marshmallow. You can feel the vibes by purchasing phones running on this OS from popular online stores (affiliate link).